Light rain greeted the runners as they prepared to set off for second running of The Peaks Skyrace. 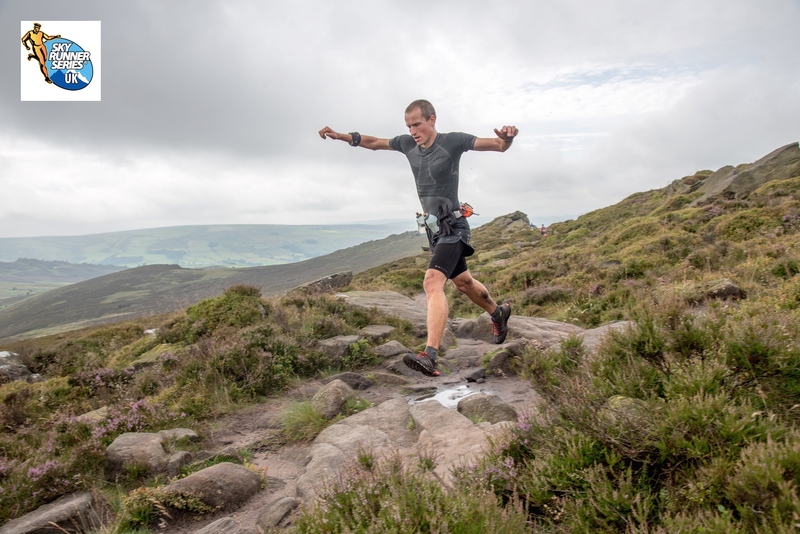 It’s fair to say the Peaks Skyrace is a fantastic stepping stone into Skyrunning and ultras in general; this was reflected by the large number of people toeing the line of such a race for the first time. The course is made up of fantastically runnable trails, which is why it’s so enjoyable and unforgiving at the same time. There is nowhere to hide and if you’re out there focused more on competing that completing then if you’re not running, your rivals are! By the start of the race the rain had stopped and the weather really improved over the day making conditions more challenging in the heat later on. The field was strong at the sharp end of the race which was reflected in the times with 9 runners dipping under the 5-hour mark. 3rd placed Richard Ashton was just 3 minutes off the course record, whilst both second place Christopher Armit and Kim Collison dipping under the time set by Jason in 2014. In the end Kim took 12 minutes off the record to win in 4:10:12 – impressive stuff! The ladies field was equally strong and whilst Nikki Kay (5:47:55) managed not only to get the win, but an en route marriage proposal as well! There was a real tussle between the top 5 ladies for who would take 2nd and 3rd – In the end just 2.5 minutes separated 2,3 and 4th. Chatting with Rachael Meek (3rd after Sarah Sheridan in 2nd place) afterward it was clear what a difference having serious competition for the ladies’ podium really meant. Rachel enthused at how chasing/ being chased by the other ladies had really spurred her on, rather than the usual scenario of “not seeing another lady all race”. 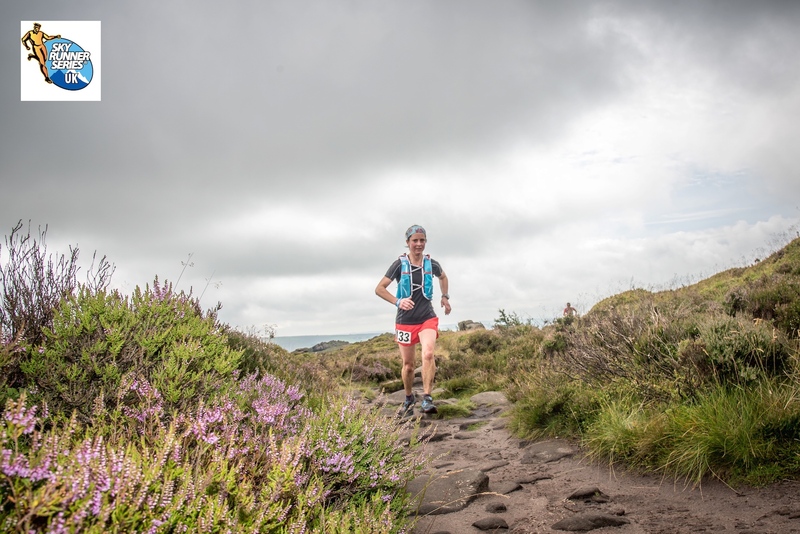 Hopefully we’ll see all the ladies and others pushing for the honors at the rest of the races in the Skyrunning UK calendar. The race organization and volunteers were superb; taking the chance to run the course meant I was able to see the race from a totally different perspective. I can confirm it’s a really cracking route and for those considering getting into Skyrunning then I’d thoroughly recommend it. I’d say it especially suits fast marathon runners who can handle trails. The next step up in the calendar would have to be the Mourne Skyline MTR and the Lakes 3×3 Ultra; I sincerely hope we’ll be seeing many of the fantastic competitors from this weekend making the step up. 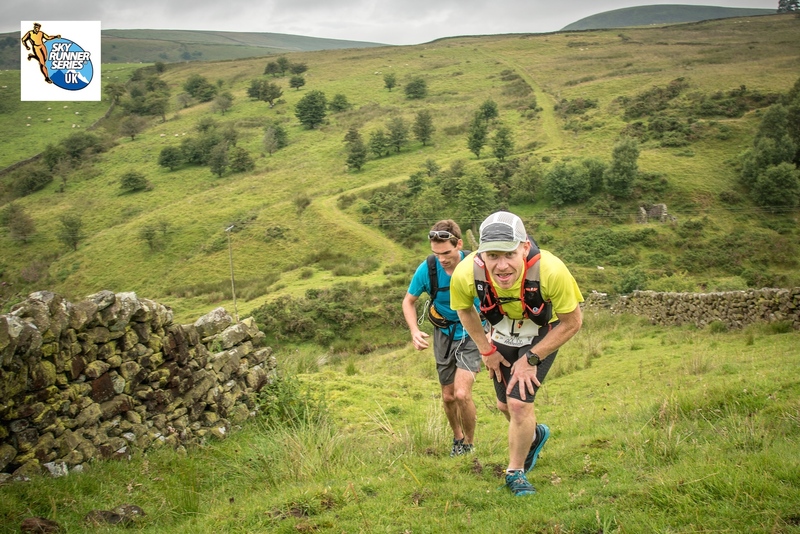 The V3K (for me the best single day route in the UK) and the fantastic Lakes Sky Ultra add a significant step up in technicality, exposure and compete with the eye popping European races. At the extreme end of the scale the race that easily holds its own with the most extreme races in the world of Skyrunning is the Glen Coe Skyline – the next instalment for Skyrunning UK on 22nd August. 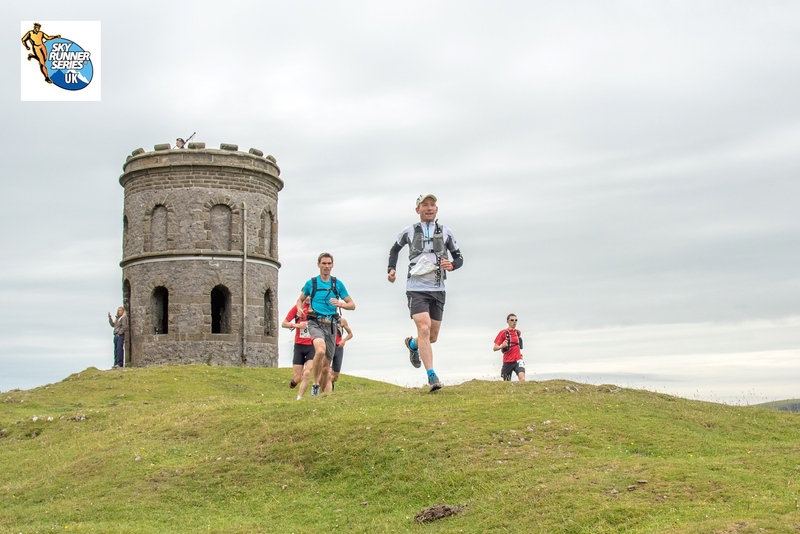 This entry was posted in Uncategorized and tagged Chris Baynham-Hughes, isf, kim collison, peaksm peaks skyrace, raidlight, results, Skyrunning, Uk. Bookmark the permalink.